As a third-generation, family-owned maker of very high-end bed and bath linens, Matouk wanted to stay in Fall River, MA, their home for 90 years. But with their industry rapidly moving offshore to lower their costs, they wondered how they could stay and not just compete, but grow. The Matouk success story is a fascinating demonstration of what you can accomplish when you’re prepared to embrace the Age of Personalization. Rootstock Software develops and implements cloud Enterprise Resource Planning (ERP) software that helps manufacturers and distributors deliver personalized customer experiences, build operations that scale and out-service their competition. 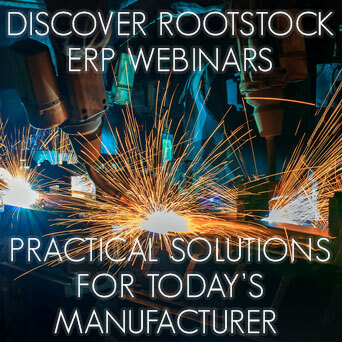 Rootstock Cloud ERP lets organizations take a more customer-centric view of operations across a robust suite of modules, including Order Management, Manufacturing Operations, Supply Chain and Financial Management. When combined with Salesforce CRM on the Salesforce Platform, companies gain complete visibility to their entire organization and customers.